These days, I seem to be increasingly turning my focus to underwater photography. Something about it makes it just so very attractive to me. Perhaps it is the challenge of shooting in this difficult environment, or perhaps the sense of wonder brought on by the alienness of the landscape and the life. And it must be said, the coastal waters of the UAE and Oman offer many opportunities for the adventurous. 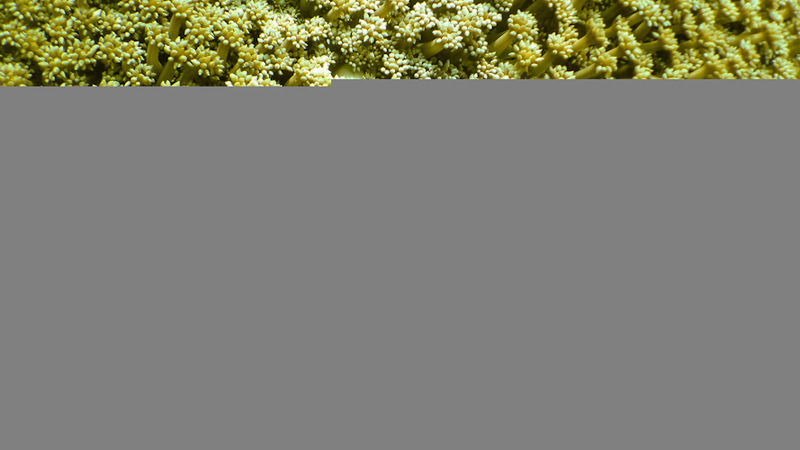 Few species of life appear as alien as do anemones. These animals are named after the colorful terrestrial flower. They are carnivorous polyps which sting their prey – any fish which stray too close to their tentacles – with a potent neurotoxin. These two closeups were taken some four to five meters below the surface about 10 minutes apart, during the course of a snorkeling session. 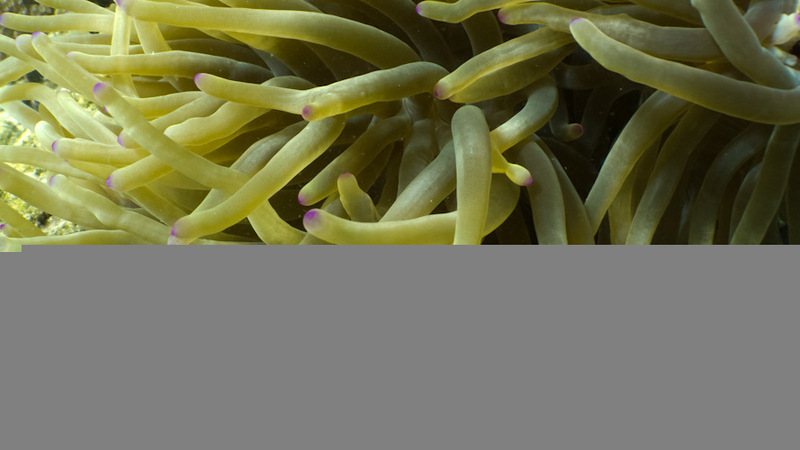 The first is a closeup of a type of anemone which is commonly home to clownfish (which, especially if you have kids, appear to have now been renamed “Nemo fish”). I love the purple tips. I’m assuming these are a type of anemone as well. Any confirmation of this is welcome. These grow in massive domes reaching a meter or more in diameter.